Set your own goals and choose to work on any part of your skiing. 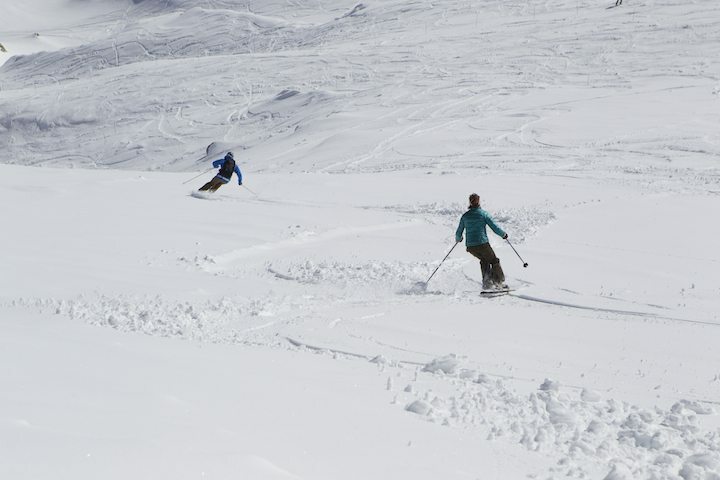 Piste, moguls, couloirs or off-piste, it’s your choice. For more details contact us. We can teach beginners all the way through to expert freeriders. By booking a private ski lesson, the speed at which the lesson is delivered is adapted for you the client. A technical session, or a day split between the family – you can choose. I teach mainly in Chamonix Valley, my home resort, but also in the surrounding resorts such as St.Gervais, Megève, Les Contamines, Flaine and – 20 minutes through the tunnel to Italy – Courmayeur (due to the travel involved, Courmayeur would have to be for bookings of a minimum of a full day). Please get in touch for more information. A full day private lesson enables you to have the instructor take you to the best ski area in Chamonix for you with tips, exercises and reminders to keep your skiing top notch. Shorter sessions can be ideal at the beginning of the holiday to ‘get back into it’. Why wait until the holiday’s nearly over before getting some tips? Take a shorter lesson as the conditions change to get to grips with how you can affect the ski differently to get the best out of the day. Make the most of your time on the snow.